While still oblivious to its privileged perspective, "The Marvelous Mrs. Maisel" ventures further into the world and finds plenty of fresh material. Amy Sherman-Palladino quickly and, at first glance, effortlessly solves the Season 2 slump that strikes so many hit freshman series. After winning the Golden Globe for Best Comedy Series, the Emmy for the same category, and hitting the mainstream in a way that ensures this fast-talking, female-focused, hourlong dramedy won’t face Amazon’s axe anytime soon, “The Marvelous Mrs. Maisel” had reason to fear a follow-up. Replicating an enriching origin story isn’t easy, nor is matching the addictive mile-a-minute pace set by the mouths of so many sublime ’50s-era Manhattanites. But in the first episode of Season 2, creator, writer, and director Sherman-Palladino swaps in a new put-upon protagonist while sweeping the audience off to Paris. Rose Weissman (Marin Hinkle), for reasons not to be revealed, takes the spotlight and earns it. Her journey, with family in tow, replicates the awakening seen by her daughter Midge (Rachel Brosnahan) in Season 1 while deepening the group’s dynamic and giving the burgeoning stand-up comic plenty of new material for her time behind the mic. In other words, it introduces a new act without suffering any dip between sets. Bu wait, there’s more: Charming and character-focused, the first five episodes of the new season expand beyond the eponymous Mrs. Maisel, looking at more women ready to push back against the patriarchy. Brosnahan rightly remains front-and-center, and watching her onstage experience grow along with her skills remains a treat — plus, the writers find more inventive ways to spice up her routines. While it can be frustrating in its glancing concern for the working class, “The Marvelous Mrs. Maisel” has droves of goodwill and good intentions fueling its frothy momentum. Fans will be delighted, and more converts can be counted on. Taking a big, expensive, globe-trotting trip to kick off a sequel to a successful predecessor is rarely a good omen — typically, it feels like the cast and crew are rewarding their previous efforts with a paid vacation instead of getting back to work — but “Maisel” soon reminds audiences it can bake the cake and eat it, too. 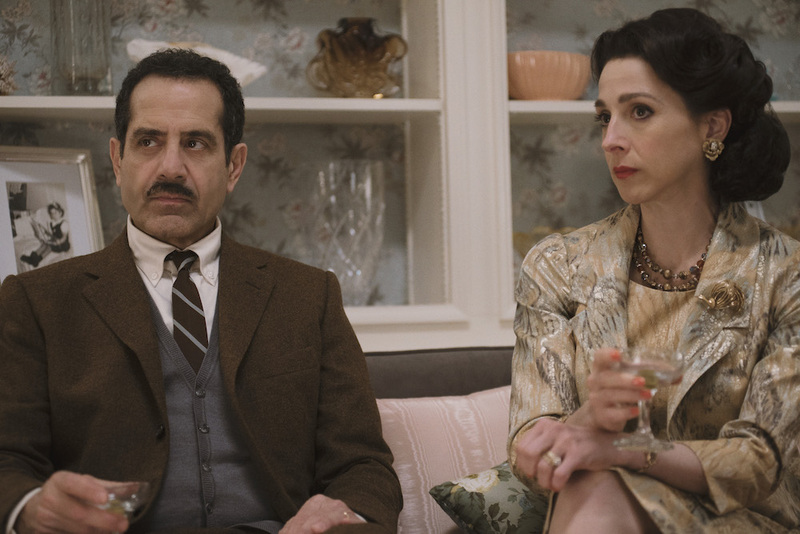 The Paris excursion is lengthy, but critical to developing Rose and her husband, Abe (Tony Shaloub). Just as she’s pushed beyond the disapproving-mother figure, he moves past the uncaring, not-listening patriarchal papa standard — not all the way, mind you, but enough to get the wheels spinning. Hinkle, always a treat to watch (her turn as an anxious cheerleader in “Speechless” is under-appreciated), thrives with the extra time, dropping barbs with the wisdom of Rose’s position while showing heart-weakening vulnerability when surprised. Shifting continents isn’t enough to keep Midge off stage, and the lead’s comic pursuits see more screen time with better use of it in Season 2. Routines are motivated to be spontaneous, rather than recap what just happened. She’s supposed to be improving, and it shows in her timing, content, and delivery (not that speed was ever an issue). Midge’s behind-the-mic comedy can still feel like a continuation of what happens in real life — when you’re writing jokes for every bit of dialogue, there’s not much room to elevate what’s written for her five-minute sets — but Sherman-Palladino finds regular ways to help her stand-up stand out. Well, not for everyone. Though “The Marvelous Mrs. Maisel” is decidedly not trying to tell a working-class story, it can often feel inexcusably oblivious to the struggles faced by characters who are supposedly struggling. Susie reminds Miriam she needs these gigs to keep paying her bills, but that’s a lesser priority than maintaining her win streak in the club’s swimsuit competition. When Rose moves to Paris, she doesn’t mention a fresh source of income and presumably keeps living off her husband’s NY wages. Sherman-Palladino may not have all corners covered, but what’s actually on the table is impossible to resist. Brosnahan, fresh off her Emmy and Golden Globe wins, zips through each scene with command that should be impossible at such breakneck speeds. The costumes are outstanding and the blocking, framing, and movement all divine. Each episode evokes that rare, warm glow brought about by entertainment that’s as finely tuned as it is thematically empowering. Sherman-Palladino didn’t just solve the Season 2 slump; she reversed it. “The Marvelous Mrs. Maisel” is even better than it was, even when you stop to consider its flaws. 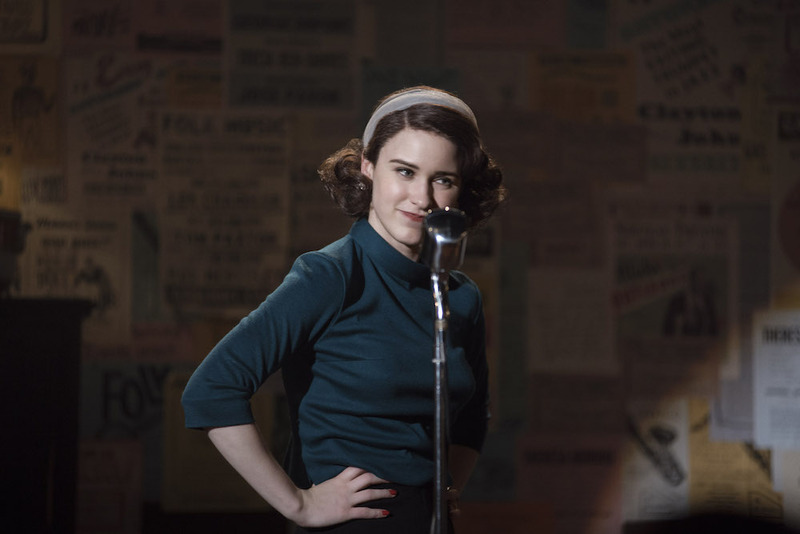 “The Marvelous Mrs. Maisel” Season 2 premieres Wednesday, December 5 on Amazon Prime.